I can’t believe it will be 2018 in a few days! Thinking about the new year got me reflecting on 2017. 2017 was a crazy year for us. Lots of ups as well as lots of downs. It started off very challenging. I thought being diagnosed with breast cancer in 2016 was challenging, but to be honest it is life after the diagnosis and chemo that is even more challenging. But the challenges I face every day motivate me to thrive every day. 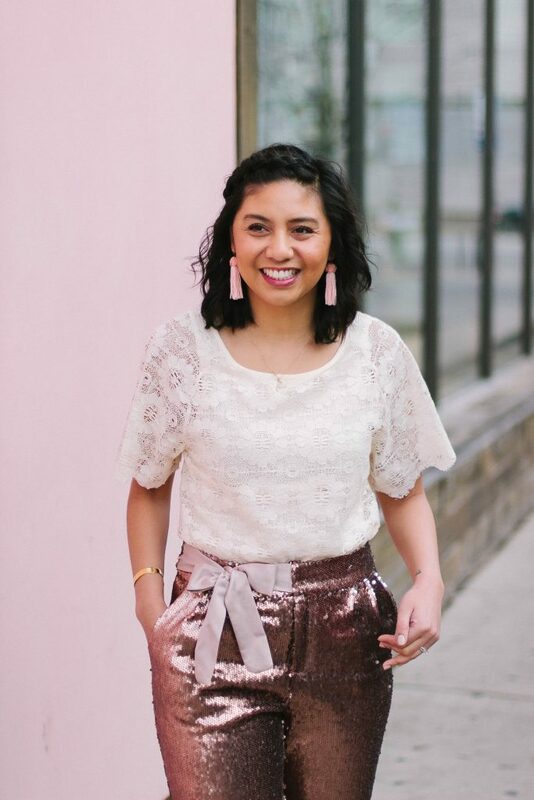 So in this post, aside from sharing this fun New Year’s Eve outfit, I thought I’d share the highlights and lessons I’ve learned in 2017. There are a lot more highlights when I was reflecting on 2017, but I wanted to share some key ones that were significant to my life. Overall, it gave me a better quality of life. Without a doubt, there were down times. I’ve lost a few people in my life, but I like to think they are angels now watching over me. No more wig. At the beginning of the year, I barely had hair so I still wore my wig. When my hair started to outgrow the wig, despite my insecurities, I started sharing photos of me without my wig. I totally rocked the mullet hair style for awhile until I decided to get a hair cut. And now, I can put my hair in a mini messy bun! Finally recognizing myself. After chemo, I started to notice the effects treatments and surgeries had on my body. I didn’t recognize who I was looking at. But I worked hard to focus on myself and I learned to love the ‘new me’. The old Rach is not completely gone; the old Rach helped shape who I am now. We are starting to travel. Traveling has been my passion since I was 12. But I had way too many obstacles growing up, that it had to be put on the back burner. One of our goals right after marriage was to travel and of course, cancer got in the way. I am glad to say we have now been to several places: Florida, Montreal, Oakland, San Francisco, and Quebec City. In 2018, we have more exciting travel plans! Woohoo! Taking time off from work. I was miserable and I was trying to navigate through the long-term side effects, but the demands of work pushed me back. It wasn’t until my doctors mentioned that recovering and rehabbing is a long process and I shouldn’t push myself that I thought more about my options. So a few months ago, I decided to take time off. It took awhile to get used to it, because a lot of anxiety was caused from work, but I can see the progress. Giving the support my husband needs. Just because I am going through cancer doesn’t mean he does not go through it too. He sees everything firsthand and responds right away. He fully understands the effects of cancer. It is a lot on him, and I’m glad he is now getting the support he needs. Caregivers deserve the same amount of support as someone with cancer. I am so grateful for my family. No matter what, they have our backs. They support all the decisions we make and are always there for us no matter what. Reflecting on 2017, just one quick phone call, and there they are. I am so grateful for our close friends who took the time to understand what we are going through. I’ll admit, not many people do, but we are fortunate to have friends who make the effort. When I reflect on 2017, I realize it was definitely a learning year. With the challenges I faced, there was a lot I took away from this year. Self-care is important. I never fully understood why people dedicated time for self-care until this year. And now I notice the positive effect it has. It is so important to take care of yourself and unwind. It helps resets your mind and give you clarity. I can go on and on about self-care, but I now know that going forward, I have to put me first. Work isn’t everything. I used to care a lot about work. I always want to be the best, the fastest, and the most knowledgeable. Looking back, I’m not quite sure I got a lot out of it. Yes, occasionally, it was acknowledged I did a great job, but doing great meant more work which led to more hours which led to less time to live my life. Don’t get me wrong, I will still give my fullest effort when working, but there definitely needs to be a balance between work and life. The power of ‘No’. I was one that always agreed or said ‘yes’ to almost everything. Even if it meant more stress on me. I thought it was an easier route than disappointing others. It wasn’t until last year’s New Year’s Eve and a bunch of friends wanted to have a year of ‘yes’. Yes to them meant more adventures and experiences. When I was hearing all the things they were saying, I panicked. 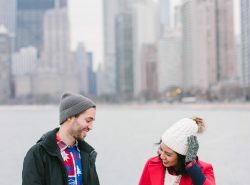 I stayed calm during the conversation, but when I got home I realized I always said ‘yes’. And that was why I barely had time to sit down, recover from cancer, and why I wasn’t improving from side effects. So I gradually started saying ‘no’ to things. I only did what I could handle. And you know what, I was able to enjoy life more and the best part is, the people who care won’t hate you. What about you guys? What did you learn this year? I hope you all have a wonderful New Year’s Eve, and I will see you guys in the new year! 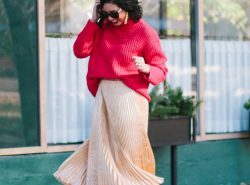 This was such a great read, and your outfit is simply stunning! I’ve missed a great deal of your journey but have to say that I love the concept of reflecting back on important lessons learned in 2017, especially when some of those lessons came from serious struggles. I hope 2018 brings you health, happiness and a whole lot of travel. Happy New Year! Thank you so much Kasie! Happy New Year! 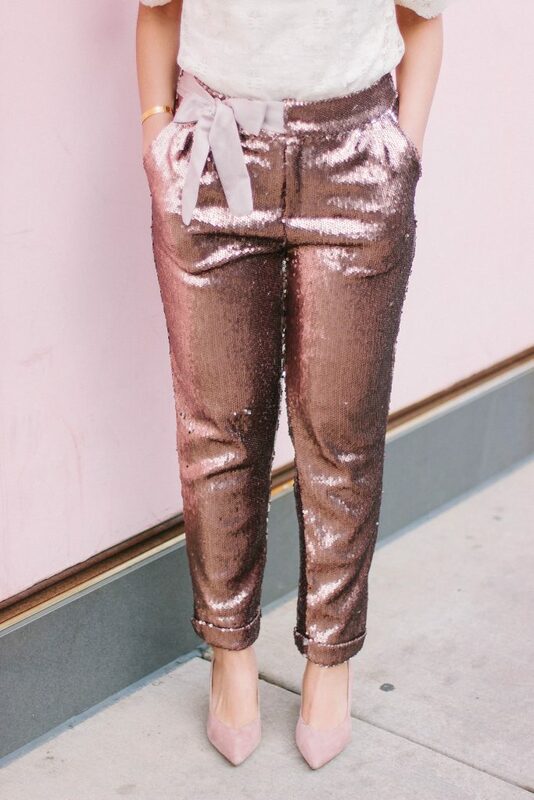 I need those sequin pants. So cute. I love your transparency and hope nothing but blessings for you and your family for 2018. This new year is yours! Thank you Jasmine! Wishing you a happy new year! 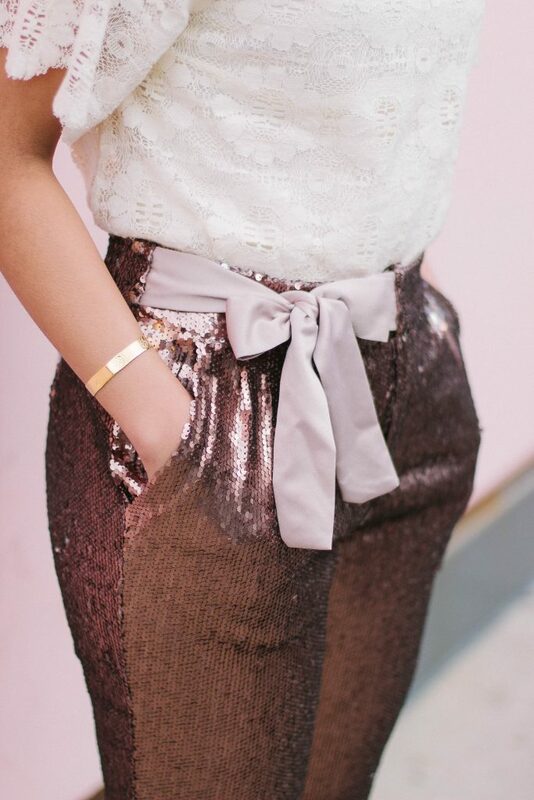 I love the sparkle in the pants! The last picture is my fave! those pants look amazing hun. you look absolutely gorgeous! This is amazing!! I like your look simple and at the same time stylish. I need those sequin pants. 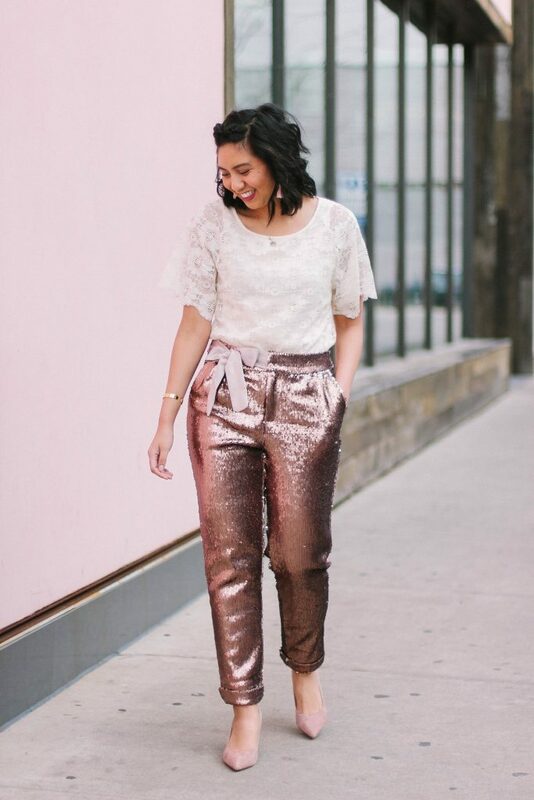 First up, I love those sequin pants! Secondly, what a thoughtful post! It’s definitely been a big year for you, but I’m glad that there have been so many positives to it. I agree, self care is so very important! Hope you had a wonderful Christmas and are having a great week! It’s hard to believe there are just a couple of days left in 2017! A happy new year to you. Thank you so much Mica! I hope you have a happy new year! What a beautiful post Rach. Thank you for sharing your reflections. I hope 2018 brings a year of growth, happiness and recovery for you. What a beautiful and reflective blog post!! Loved this post! I am terrible at always saying yes. It’s a bad habit that I got myself into. Sometimes you need to put your self and your self-care fisrt without feeling guilty. Exactly! Thanks for understanding Emma-Lynn! Thank you so much Kara! You re right and the power of “no” is a hard one. I still struggle, but baby steps right? Hope you are having a great start in the new year! Thank you Dora! Such an honor! The end of the year is always a great chance to learn something from our behaviour etc. I adore your pants ❤❤❤ You look WONDERFUL ! Thank you so much Annick! I hope you continue to follow along. Happy new Year! Simply stunning! Gorgeous as always! Thanks for sharing! Sounds like great lessons learned. And I love that you were able to travel more and no longer need the wig as well. Happy 2018! Thank you so much Cheryl! Those were definitely my big highlights! Happy New Year! 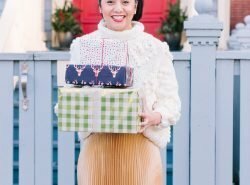 I really loved reading this – 2017 was such an adventure for you and I loved seeing your growth on this blog. I also like the lessons learned. Like you, I tend to be a bit of a yes-man and I’m trying to get better at saying no to people without giving a long elaborate excuse. On a sartorial note, I LOVE your sequin pants! They are so fabulous! Thank you so much Deborah. That means a lot to me! Saying “no” without guilt is really difficult. I have learned to embrace that it will take baby steps. Hope you are having a happy new year! These are great life lessons. The sequined pants are so cute. What a gorgeous outfit! Loving your sequin pants dear! I’m really diving deep into this shinning and shimmering trend too. BTW, cheers for new adventures and lessons to learn in 2018 dear! Happy New Year! You look gorgeous! I love the sequin pants! Perfect for the New Year! You’re so strong and inspirational! Also, it’s great that your husband is so supportive and there for you! I loved reading this and I hope that 2018 is amazing for you. Thank you Katherine! I am lucky to have a wonderful husband! Happy New Year to you! I started travelling more in 2017 as well! Heres to 2018 and all the travels that will be done! That is awesome! Cheers to 2018! This look is gorgeous! 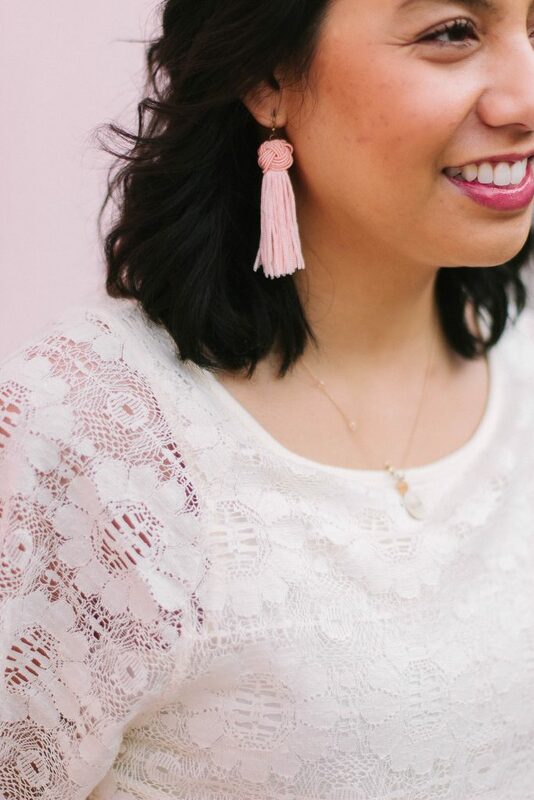 Beautiful and perfect for New Year’s, Valentine’s Day or any other fun occasion! Love it. Oo yes! It def would be a fun Valentine’s Day outfit! 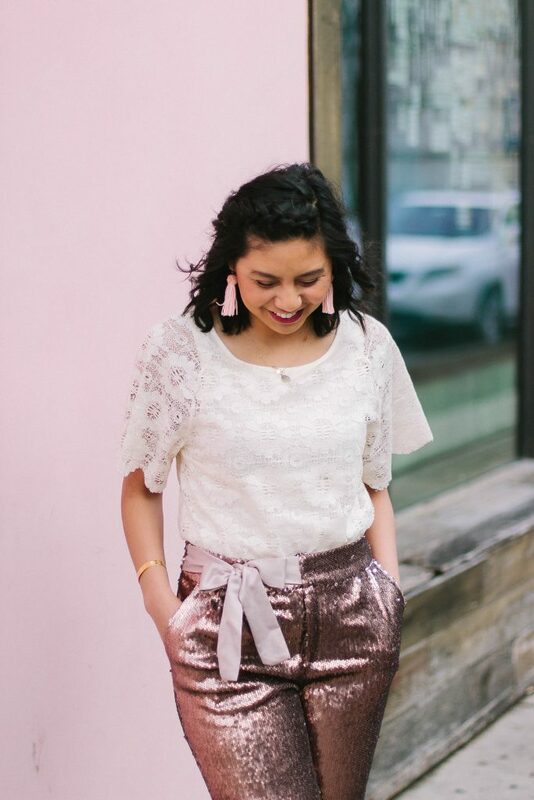 Love this post and your pants are fabulous! Happy 2018! You powered through 2017, lady. So proud of you and excited for all the things to come! Thank you Ashley!! Happy New Year and happy belated birthday! Beautiful lady you are. Seems like you’ve learnt a great deal of lessons that I’ve learnt too. Self care was definitely my highlight in 2017 and I hope to continue in 2018. I agree with you when it comes to work. No more overworking ourselves. 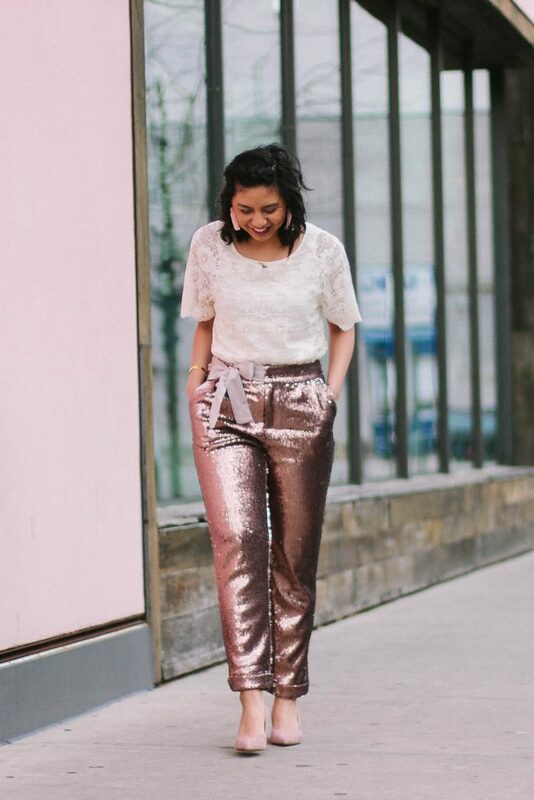 Love your sequin pant. Cheers to a happy new year. Glad you were able to learn the same things! Thank you! Love this post! 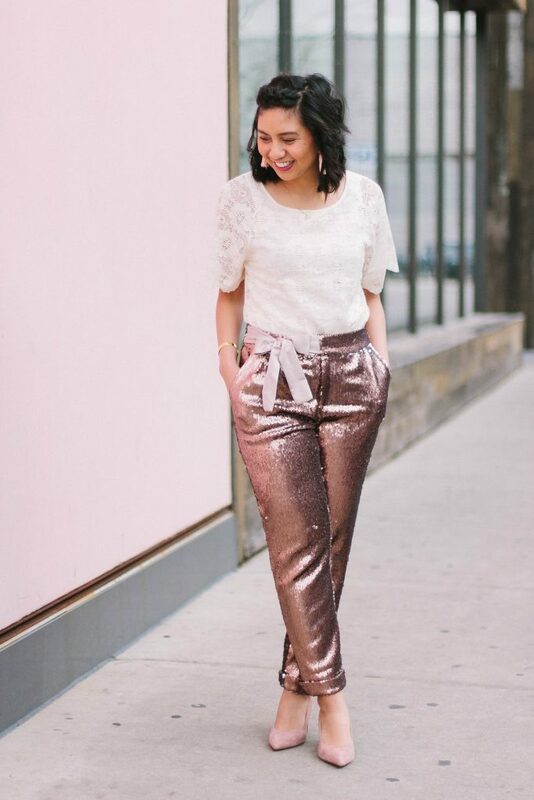 Your sequined pants are perfectly styled! I definitely used to have the same mindset. It’s hard not to want to be the best or do the best every time. It’s such a relief to remember that life is more than that. I used to too and then it spiraled out of control haha! Definitely agree that life is more important. Thanks Christina! Yes for self-care! I am glad to know you are better now. More success to you this year!